Anacostia Trails Heritage Area Inc. Grants will be due for review by ATHA Inc. by March 7, 2019. ATHA Inc. will receive the applications and provide a ranking system for the MHAA for the applications. 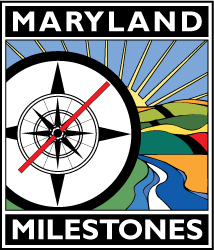 A letter of intent is due in January through the Maryland Historical Trust online grants portal. Draft applications generally are due sometime between the beginning to middle of March. ATHA Inc.’s review committee then reviews, ranks, and submits applications to the MHAA, generally in early April. MHAA staff first review applications for completeness and accuracy and will contact ATHA Inc. or applicants if additional information is required. Complete applications are forwarded to the MHAA Technical Advisory Committee (TAC) for review. Grant awards are announced on July 2019. All grants must be matched in an amount at least equal to the amount of the grant award (dollar-for-dollar match). No more than 35% of the minimum required cash match may consist of applicant staff salaries. The balance of project match may consist of in-kind contributions. State of Maryland funds may not be used as match. Contact ATHA Inc. staff for possible matching solutions.